Home / Announcements / Win a 3-Night Historic Haunts of New Orleans Trip! In the mood for these? Enter to win our Historic Haunts of New Orleans Sweepstakes! three-night getaway in New Orleans with a variety of exciting and spooky prizes and offers. registration form located online. Participants can simply click on “submit to enter to win.” Registrants for the Historic Haunts of New Orleans Sweepstakes must provide all information requested to receive an entry. I already entered, and it was as painless as advertised. The only restrictions I could see are that the winner must be 25 years of age or older, must be a legal U.S. resident (excluding Puerto Rico), and must use the prize by the end of March 2016. You can get bonus entries by referring friends through social media as well. You can enter through Halloween, of course. I’d wish you good luck, but well, I want to win. 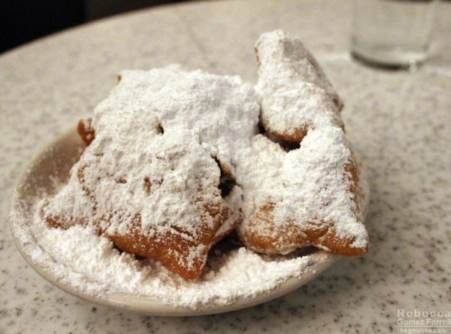 A return, paid-except-for-airfare, visit to New Orleans would be amazing.